I have moved a website that uses ExpressionEngine to a different server, however all the images appear to be missing and if I go to update something it says the path is invalid. I just spotted another error as I was going through the migration documentation. An EE configuration needs to know both the URL of the site and the local path to the webroot folder within the server you are using to operate. If you have changed servers then it is likely that the local path to the webroot folder will have changed, and as a result EE operations that rely on accessing files stored below that webroot folder (such as images) will fail until you provide the correct path. There are good instructions on how to move an EE2 installation from one server to another here. 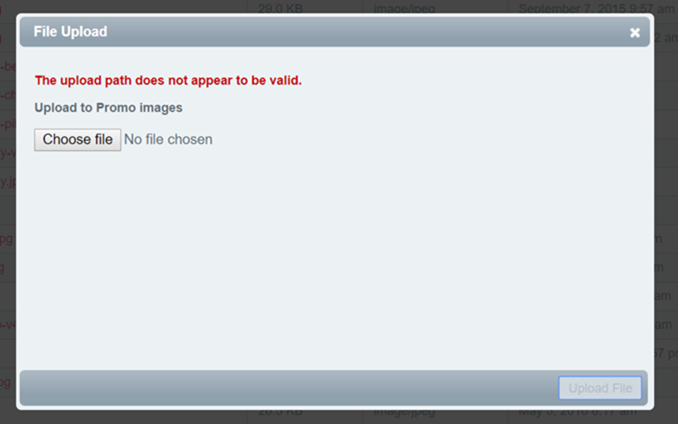 My image folder is know, yet I would not have the foggiest idea what the webroot folder is. Not the answer you're looking for? Browse other questions tagged codeigniter server-migration or ask your own question.